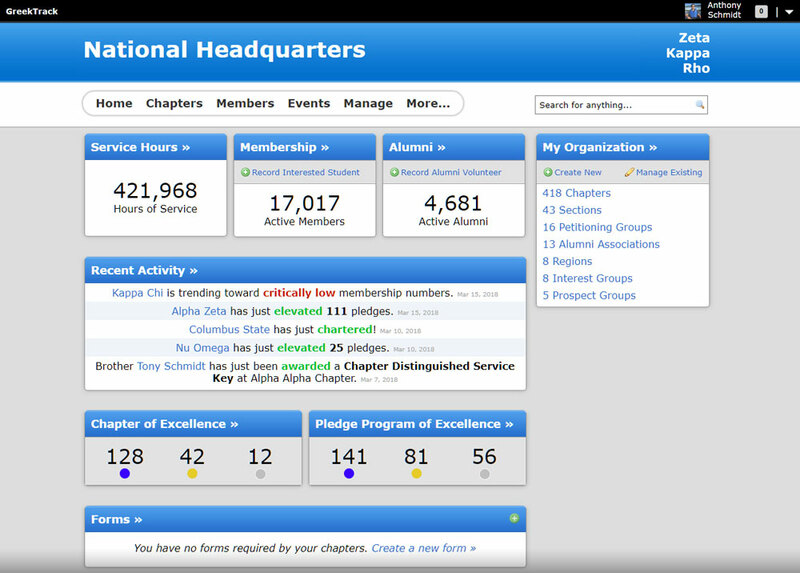 Automated alerts when chapters are trending toward critically low membership numbers. Why wait till the end of the year to know the health of your organization? GreekTrack watches the incoming new members and graduating seniors at each chapter to give you early insights on which may be left with critically low membership numbers at the end of the year. 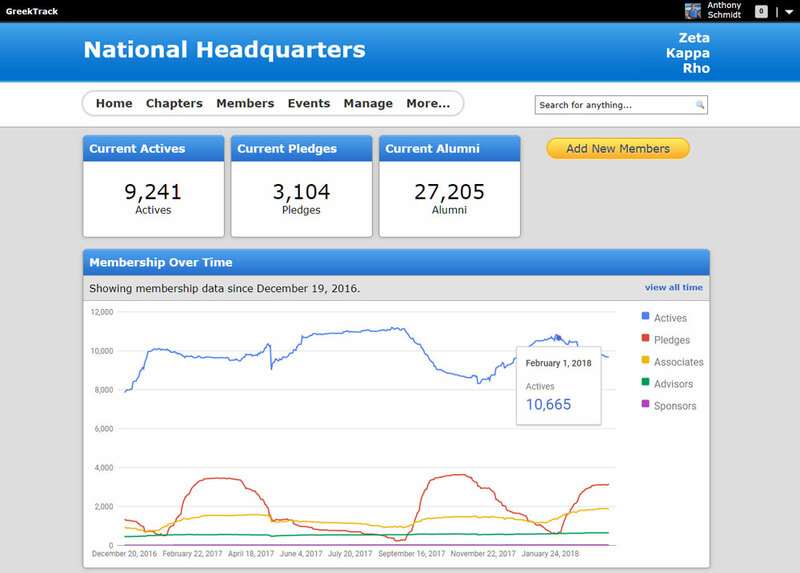 The membership chair at each chapter will also be able to see projections of their membership numbers to help set recruiting goals that will ensure a healthy chapter size at the end of the year. Upload and tag resources with the 'Membership' tag to alert all membership officers that new resources are available. Then track statistics on these resources: number of views, by who, when, etc. Easily create surveys to collect feedback on new membership retention resources or programs that your staff offers. Upload resources and tag various officer positions so they have a common set of guides to help them with their new role. Set up achievements to encourage your members to do more service, or attend more leadership development programming. Members can show off their achievements on their social profiles! Quickly view your organization's membership trends and dive into the data to find new volunteers.